What happens when you get the biggest Star Trek geek in OnRPG to interview Daniel Stahl from Star Trek Online? Geekery to 11! We talk about everything from Las Vegas to time travel. See it all for yourself below. Hi there, thanks so much for taking some time answer some questions about Season 8 and where STO is headed in the future. 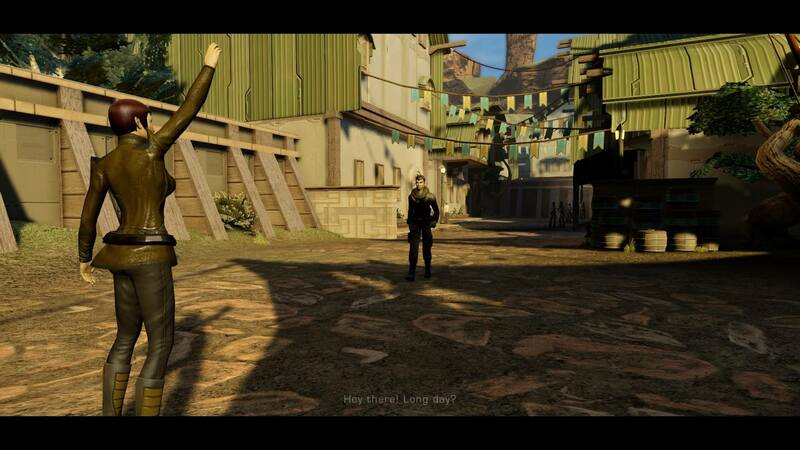 But before we dive into all of that could you introduce yourself please and tell us what you do on Star Trek Online. Greetings! My name is Daniel Stahl and my role is Executive Producer on Star Trek Online. My ultimate responsibility is creating a path forward that accomplishes the goals of the product as well as the desires of the customers. This includes managing the game studio unit responsible for the title as well as coordinating with our licensor CBS and our publishing teams at Perfect World. Season 8 is coming up soon. There was a fantastic State of the Game recently which really only teased that Season 8 would be on its way. Can you tell us a bit more about what we can expect to see during the Season? Most of the development in our recently released expansion, Legacy of Romulus, was focused on a new faction and new early level content. In Season 8, we will be shifting gears back to end game progression and rewards. This will also give us a chance to move the story forward and get us closer to where we want to go next in the Galaxy. However, prior to Season 8 we will be introducing a few new updates that will help set the stage. With the amazing new tutorials for the Romulans and Klingons, the older Federation tutorial was feeling very dated. We’ve had designers hard at work on revamping the first few levels of the Federation captain’s journey. This includes new environments and a new Federation ship interior that is much more in line with the ship hallways you’ve seen in Legacy of Romulus. We also have a very special Feature Episode, similar to Temporal Ambassador, which will act as a prequel to Season 8. This episode will directly follow the events that unfolded in the Romulan Reputation cut-scenes and will end with a sneak peak at what is coming in Season 8. So if you’re looking for some more details on Season 8, you’ll definitely want to check out the Feature Episode releasing in September. Space Adventure Zone. That sounds really awesome. Can you tell us a bit more about what they entail? 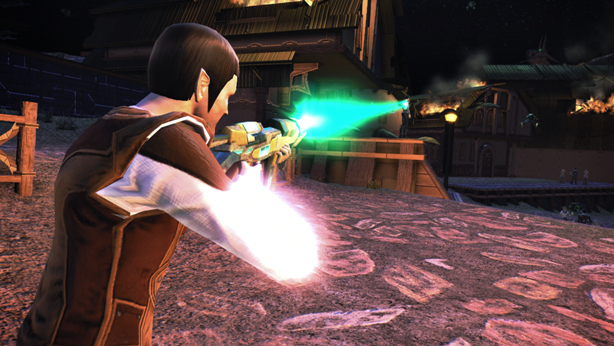 All of the Adventure Zones introduced in Star Trek Online have thus far been focused on Ground Missions. These zones include the Borg invasion on Defera, the Tholians on Nukara, and the exploration of New Romulus. In Season 8, we will be introducing our first space Adventure Zone, adding new persistent areas to explore in your starship. Think “Sector Space” with built in combat and fleet actions. Not only will there be solo missions, but captains in the same zones can group together and take on challenging enemies lurking about in the environment, without having to leave the zone or go into an instance. 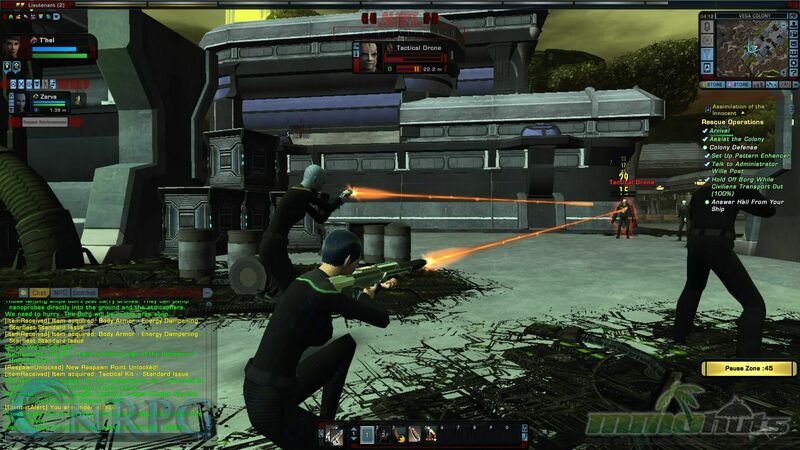 In addition, these new zones will be in an environment that has never before been seen in Star Trek Online. It will be much more visually interesting than flying around in deep space. 8 Seasons. This will be a Star Trek record. None of the TV shows ever made it to Season 8. How does that make you feel about STO and all that has been accomplished so far? It feels great! It is a testament to the power of Star Trek. Every series has had its issues out of the gate and Star Trek Online certainly had a few of its own. However, the underlying themes are still there and the more you are able to focus and expand on the concept of “Star Trek”, the more it grows on you and the more you become invested in the events that are transpiring in this fictional galaxy. While we’re only in our third year as an online game, we certainly hope to be still making STO in 2018. There is still so much to explore! Viva Las Vegas! Star Trek Online will be returning to Star Trek Las Vegas this year! What sorts of things can we expect to see if we are attending? And for those of us not as lucky, will we be able to see the panels online? We are very excited to be invited back to the grand slam event in Las Vegas for a second year in a row. Similar to last year’s panel, we’ll have a group of developers on stage talking about the last year in STO as well as some hints and teaser screenshots for the future. In addition, this year Denise Crosby will be joining us for a second panel to specifically talk about her work in STO reprising both Tasha Yar and Empress Sela. It will be the first time a cast member has joined one of our panels. It will be fantastic and hopefully a good omen for the future. We’re still working out details with Creation on whether or not we’ll be able to present any video footage from the convention, but you can at least look forward to a recap if you are unable to join us on August 9th and 10th. Gateway is coming. This has already seen huge success in Neverwinter. 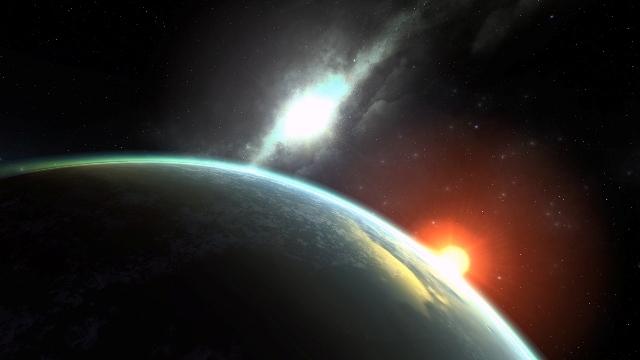 How will it be changed up for Star Trek Online? The Gateway team has been hard at work on adding more and more STO functionality to the site. This year we are hoping to add in many of the features that you see on Neverwinter, possibly to include the Mail and Inventory system, the Exchange, and possibly even the reputation system and Dilithium Exchange. We also have several prototypes underway which may end up being entirely new mini-games that tie directly into your career and provide fun new ways to explore Star Trek Online when you’re not directly in game. It is a little early to be talking details about these games, but by this time next year, we expect there to be far more to do on Gateway. Three words, Romulan Temporal Vessel. Tell us all of the things! Really though, there has been some big excitement around the Temporal Vessel, what can you tell us about it? 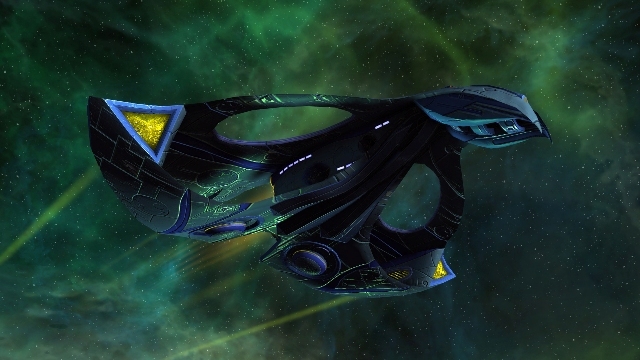 Romulan Captains now have a chance to get the R’Mor Temporal Science Vessel when they open Temporal Lock Boxes. This time ships is similar in powers to the other time ships, however it is an entirely new visual ship design that also has a mirror universe version. You can read more about this ship in the recently released Dev Blog. We should also mention that we wanted to get this ship out in time for the All Lock Box drop event happening now until August 15th. We’ll keep the settings on stun and talk about the exclusive new alien ship that we are working on as a special reward for completing the new Feature Episode releasing in September. This ancient, full-Carrier vessel uses subspace technology and was created by an alien race that may be related to the Iconians. As captains venture into the new feature episode, they’ll learn more about where this ship comes and get a chance to captain it in combat. Star Trek offers such a rich and long standing lore, how does the team decide where to take Star Trek Online next? With literally hundreds of Star Trek episodes and books, there is a never ending galaxy of options of where to go next. So far we have been focusing on areas close to home and the star systems seen in the TV shows. However, as we move forward, there is nothing stopping us from going outside of known space, or even outside the Milky Way Galaxy. There are some additional factors to consider when deciding what comes next. We try to focus on popular species, locations, or technologies that were seen in the show but have yet to make it into the game. We even post polls for our community to weigh in on where we should go next. The poll at the end of the last State of the Game blog asked which series’ ships, species, and stories would they like to see more of. With Voyager so far in the lead, we’ve been taking a close look at what we could do in the Delta Quadrant for a future expansion. I would like to turn the final question from the State of the Game on its head and ask you, What Star Trek series’ ships, characters, and stories would you most like to see in a future STO expansion? Well, I voted Voyager as well because of a few reasons. It is on the other side of the galaxy and would require adding more sectors to the game. There were also many different alien species that the Voyager crew encountered that would be fun to put in the game. That entire area of space is outside of the typical UFP / KDF jurisdiction and may add some interesting political challenges for a Starship travelling so far from home. That sounds like fun to me! good interview. thanks for getting some hints about season 8. looking forward to the new ship and space zone. Fix the TNG Split Bottom Pants, please! The texture has been all screwed up since the beginning of the Summer Event. Stahl, if you and your game are still here in 2018, I’ll still be here playing it. Make it happen! As the first game ive ever invested 300 dollars into, i absolutely love it. Definitely want to see more end-game stuff, STF’s and ways to earn Marks, but definitely excited for the future. Well if they plan on going to the Delta Quadrant, I’d say at least a part of it should be about taking the fight to the Borg since that’s their neck of the woods.